American Warfighters mobilizes the powerful forces of community and patriotism to combat and overcome critical emergency situations for our vets. The American Warfighters (AWF) was founded in 2018 by a small group of Afghanistan and Iraq veterans, that shared the passions of taking care of veterans and their families in need. We are a like-minded group of Americans who are tired of the sensitivity and political correctness that is being forced upon the American people. 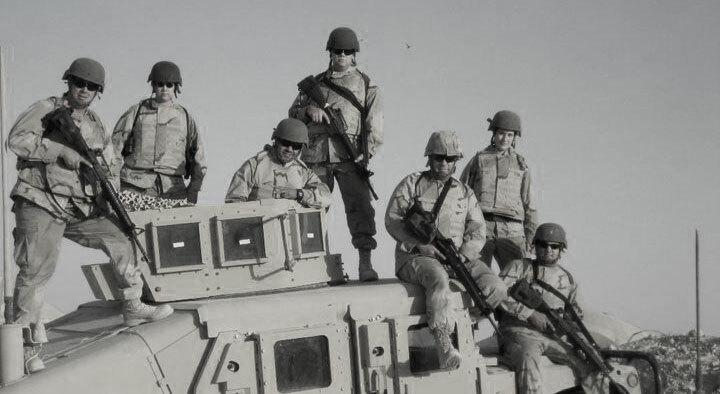 Since we were founded, we have established a team of vets and patriots to advance our missions’ reach and build a fast pace national cooperation. What started out as veterans risking their lives for one other on the battlefield, turned into taking care of each other at home. We hold onto the military values each one of us has gained through our years of service. Values we use today to help a veteran in an emergency situation. The values we hold close are the core values America once stood for. The American Warfighters’ brand is a true mark of distinction. When worn it shows people that you are an absolute patriot and you will put your country first before anyone’s feelings. Imagine the feeling you will get crushing snowflakes with your new found, one-of-a-kind American Warfighters Swag. Every great cause needs great people willing to lend a hand and maybe spare a dime or two. Or three! Click below to learn more about how you can help. Come hang out with us at our monthly Warfighter Social Night, or attend one of our many fundraising events throughout the year. We promise you’ll have a blast! Copyright © 2019 American Warfighters. All rights reserved.